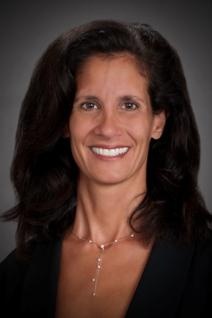 Kathy Bazoian Phelps has 22 years of experience as a lawyer in bankruptcy law and fraud litigation. Kathy’s practice includes representing trustees and receivers, debtors, and secured and unsecured creditors in bankruptcy cases and other insolvency proceedings. She has served as Chapter 11 trustee and frequently represents operating and liquidating trustees and receivers in the United States District Court, the United States Bankruptcy Court, and the Superior Court of the State of California. She also represents defendants in bankruptcy litigation, including fraudulent transfer defendants in Ponzi scheme cases, and has extensive litigation experience in a variety of bankruptcy litigation matters. Kathy has lectured widely and written on bankruptcy and receivership matters, with a focus on Ponzi schemes. Her book entitled The Ponzi Book: A Legal Resource for Unraveling Ponzi Schemes, co-authored with Hon. Steven Rhodes, has garnered national and international attention as the authoritative work on Ponzi scheme law. In addition to her roles as lawyer, speaker and author, Kathy also serves as a mediator and is currently on the Bankruptcy Mediation Panel for the Central District of California. Complex Bankruptcy Litigation: Ponzi Schemes & Other Fraudulent Conveyances, Commercial Law League of America at National Conference of Bankruptcy Judges, October 31, 2013, in Atlanta Georgia. Mock Trial: Receiver and Investor Class v. Big Bank, National Association of Federal Equity Receivers (NAFER), September 27-28, 2013, in Chicago, Illinois. E-Discovery Seminar for Federal Judges, Federal Judicial Center, September 10-12, 2013, in Philadelphia, Pennsylvania. Ponzi Schemes: A Fraud Examiner’s Role, Association of Certified Fraud Examiners, Los Angeles Area Chapter, on May 29, 2013, in Los Angeles, California. Beverly Hills Cop – Issues in Parallel Criminal, Bankruptcy, Forfeiture Proceedings, the California Bankruptcy Forum on May 17-19, 2013 in Paradise Resort, San Diego, California. Ponzi Schemes – How Lawyers Can Protect Their Clients, the Glendale Bar Association, the Burbank Bar Association, and the Glendale Estate Planning Council on February 6, 2013, in Burbank, California. Trustee and The Badoff Investor Class v. Bigbank, A Mock Trial, the American Bankruptcy Institute Winter Leadership Conference, November 29 – December 1, 2012, in Tucson, Arizona. The Onslaught Continues: This Year’s Commercial Fraud Cases You Need to Know About, the American Bankruptcy Institute Northeast Bankruptcy Conference, July 12-15, 2012, in Bretton Woods, New Hampshire. Ponzi Schemes – What Financial Institutions Can Do to Avoid Liability and Recover Losses, the Association of Certified Anti-Money Laundering Specialists, Southern California Chapter, on April 25, 2012. All’s Well That Starts Well: Prejudgment Remedies, the National Association of Bankruptcy Trustees, Spring Seminar, March 29-31, 2012, in Las Vegas, Nevada. New Issues in Fraud: Causes of Action and Defenses, the American Bankruptcy Institute Bankruptcy Battleground West, March 16, 2012, in Los Angeles, California. Ponzi Schemes, Securities Fraud and Other Fraudulent Enterprises: From “A” (Asset forfeiture and avoiding powers) to “B” (Bankruptcy) to “C” (Coordinating multiple court proceedings), webinar for the Business Bankruptcy Committee of the American Bar Association Business Section on March 8, 2012. The More We Get Together, The Greater Value We’ll Preserve: Recognizing and Creating Complementary Processes and Distribution and Priority in the Bankruptcy and Forfeiture Context: The Basics at White Collar Crime & Business Bankruptcy: A Cross Disciplinary Dialog, a conference on Ponzi schemes presented jointly by American Bar Association and Golden Gate University School of Law on November 4-5, 2011 in San Francisco, California. The New York Times, July 18, 2013, in an article entitled, Bank in Madoff Case Settles With Some Plaintiffs and Gets Favorable Jury Ruling, by Susan Antilla. The Deseret News, June 14, 2013, in an article entitled, In Faith Communities, Fraudsters Prey on Trust, by Devon Merling. The Ponzi Blog was cited in the Concord Monitor on March 21, 2013, in an editorial entitled, Lawmakers Should Reject Fund for FRM Victims. The Art Newspaper, February 27, 2013, in an article entitled, Gauguin in Alleged Fraud by Former NFL Star, by Riah Pryor. The Wall Street Journal, March 19, 2012, in an article entitled, Attorney Who Wrote the Book on Ponzi Schemes Discusses Mets Deal, by Jacqueline Palank. The Wall Street Journal, January 5, 2012, in an article entitled, The Madoff Liquidation, Three Years Later, by Jacqueline Palank. The Memphis Commercial Appeal, February 17, 2011, in an article entitled, Legal Opinions Favor Stanford Investors, Not Charities, by Toby Sells. The Wall Street Journal, January 3, 2011, in an article entitled, Prosecutors, Trustees Fight For Dominance In Ponzi Bankruptcies, by Jacqueline Palank. The Pasadena Weekly, March 20, 2008, in an article entitled, Smoke Screen, by Chip Jacobs. – addressing countless administrative issues arising in those cases. Kathy’s personal interests and accomplishments include extensive travel and the study of the Chinese Mandarin language.